Home Action Alerts & News & Uncategorized Stop the New Prisons: Not in Manchester, Not Anywhere! Stop the New Prisons: Not in Manchester, Not Anywhere! The Conservative Government has just announced the first new prison to be built in Manchester for 20 years, taking resources away from health care, education, housing and social programs which better address the social problems that lead to incarceration. This is the first of the 9 new mega prisons planned over the next 5 years across England and Wales, an expansion project which would lock us into the program of mass incarceration seen in the United States. Free event; if you plan on coming, please e-mail manchester@iww.org.uk or RSVP on Facebook to let us know so that we have an idea of attendance numbers. 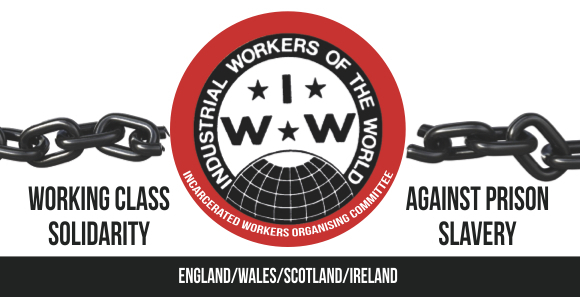 Facilitated by the UK Incarcerated Workers Organising Committee and hosted by Manchester Industrial Workers of the World.